LIVE AS IF YOU’D DROP DEAD INTO SECONDS. From what I remember, most of the years I was not sure what my true passions were. The last 5-6 years, (this is 2015 when I put up my blog) only passed by scratching my head at my office desk and imagining all that I always wanted to do. But I have survived out of this very boring life, (atleast I think so), only because of my fantasies 🙂 My imaginations run a little too fast. Before you may even know what’s cooking in my head, the hotchpotch was already ready. Since I do not like to talk much, I liked the idea of creating a Blog and sharing my stories here. Why this name “kitli-culture” ? 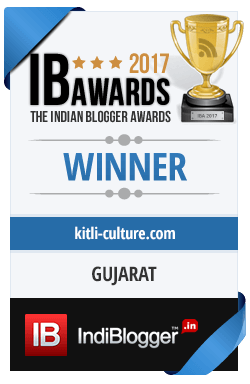 “Kitli“is a hindi word which means “teapot”, I picked this name “kitli-culture” randomly and instantly, as I wanted to give an Indian flavor to my Blog. I am also a huge Chai (Tea) -Lover. You will read here about my travel tales, food, people, culture and more. I love to get close to the nature; Mountains, forests, rivers, lakes, are my places. Being a Camping/Trekking/Adventure lover you will get to read a lot about close-to-nature places. I am not a luxury traveler, a foodie, love meeting people, exploring cultures the bazaars, corners. Sometimes I like to be part of festivals, that are hugely populous and sometimes I like secluded places. I feel completely enamored to be near to the heritages, ghats, old temples, mosques/architectural wonders/monuments; and at times I find solace in the jungles. I do not enjoy traveling in huge groups, but with less people and without a fixed itinerary. I may even skip the popular spots at times.Everywhere something that I never give a miss is to escape for the long early morning walks. I am here to build a life I don’t need to escape from! – Rob Hill Sr.
Why not create our a life that feels good from inside?? I would love to hear your thoughts about my Blog, or travel stories that I share. You can mail or tweet me and most of the times I am quick with responses, if not please bare the little delay as I might be to some poor network zone. Polomi, thanks for your gracious comment on my blog, and for the invitation to visit your blog. It is lovely and will allow me the opportunity to learn more about India, you, and so much more. Live and learn, Polomi. You have a great concept for your blog; a little of everything. Thank you for following our blog. We have a few things in common, how we like to travel! But we say we are “roughing it smoothly” in our motor home. We travel full time and that’s our home on wheels! I look forward to learning more about your travels!